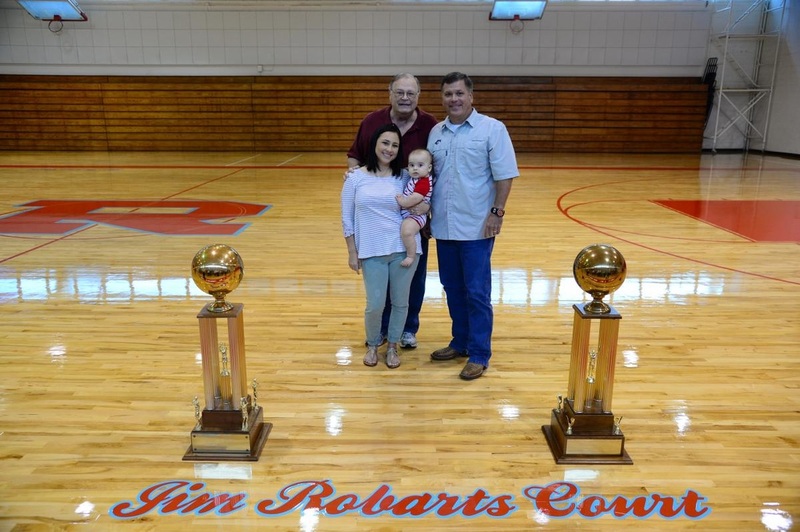 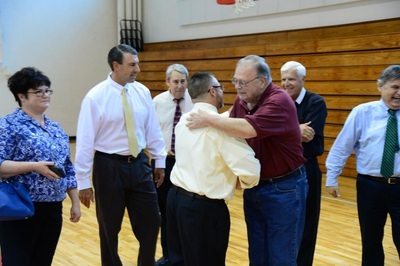 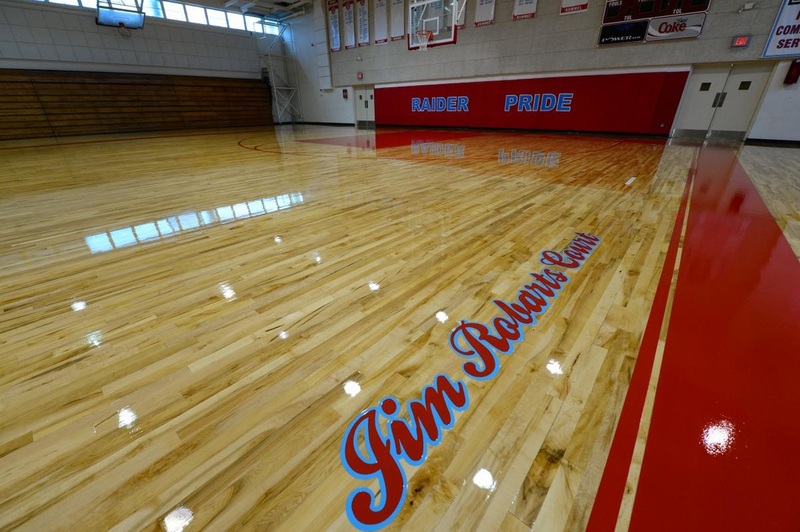 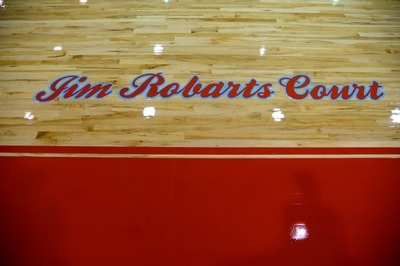 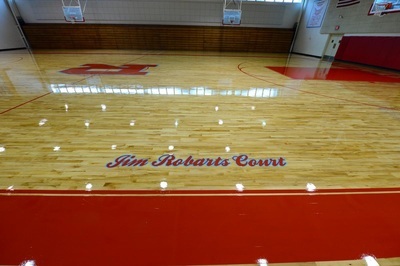 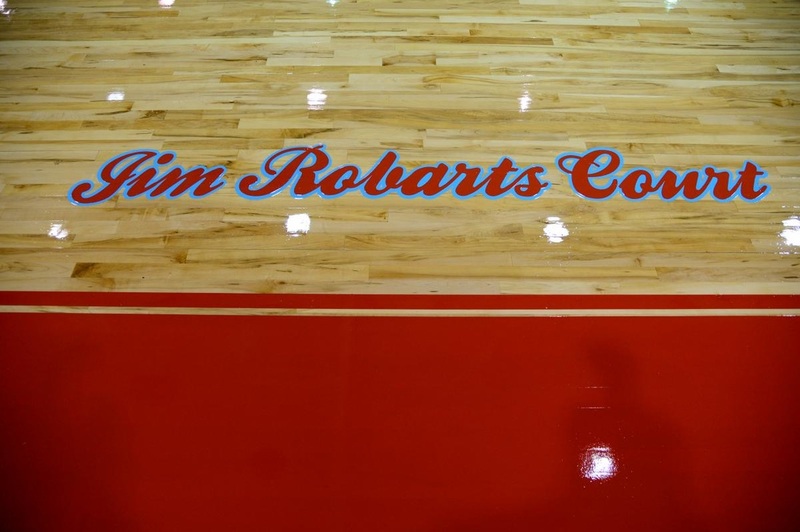 The basketball court in the Raider gymnasium has been renamed Jim Robarts Court! 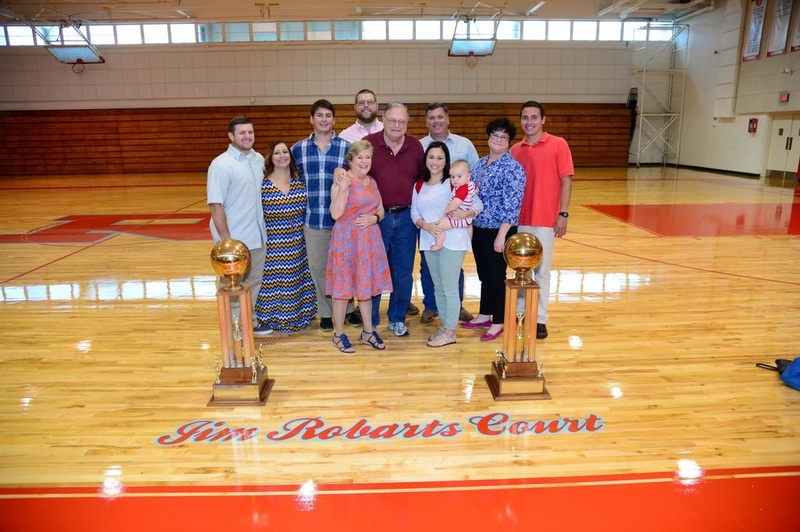 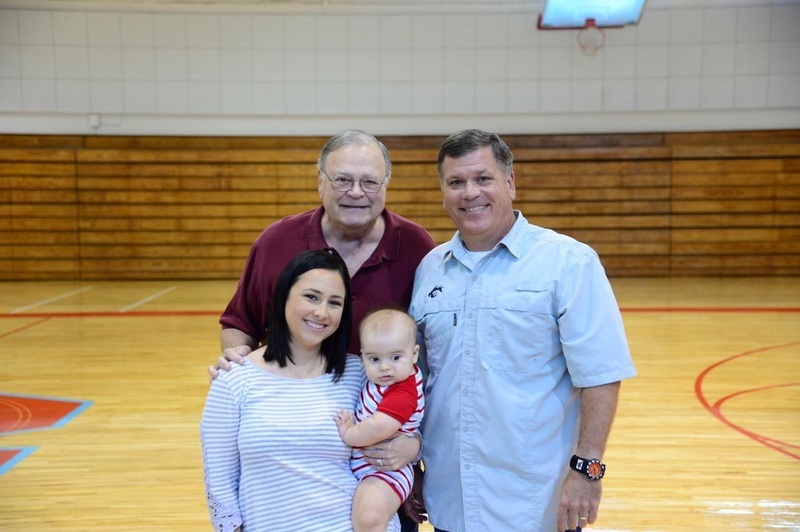 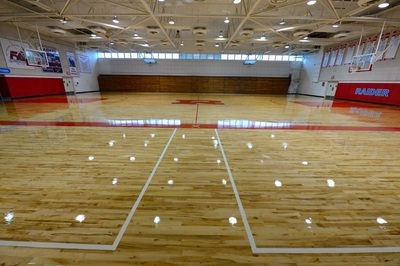 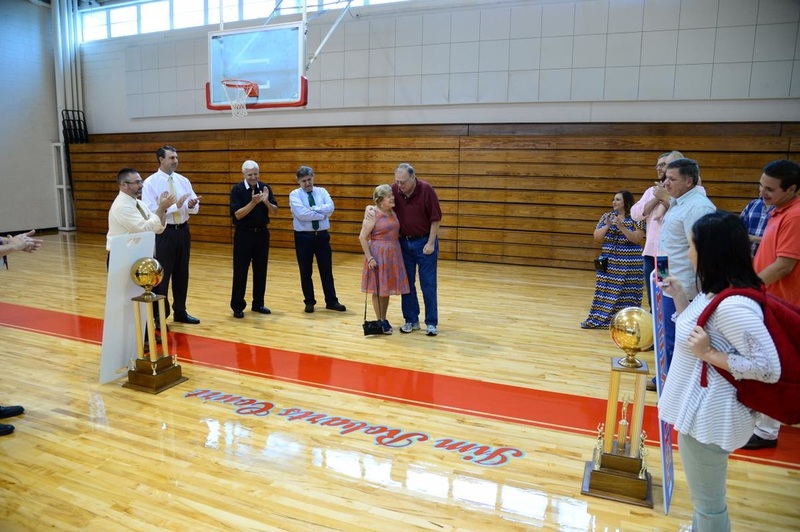 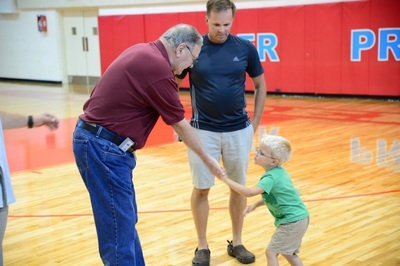 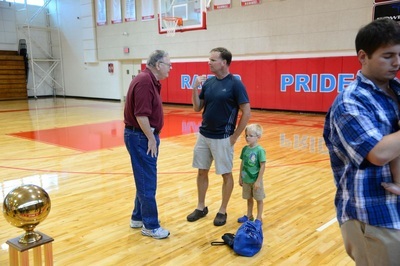 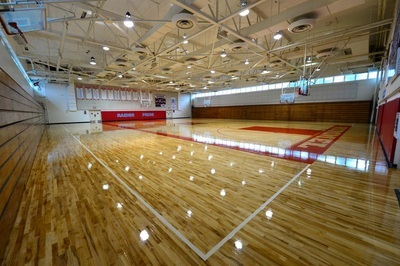 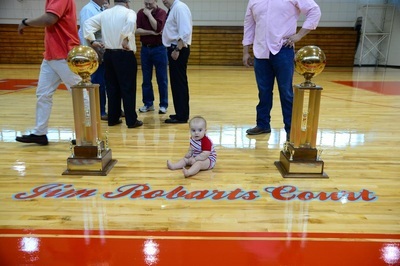 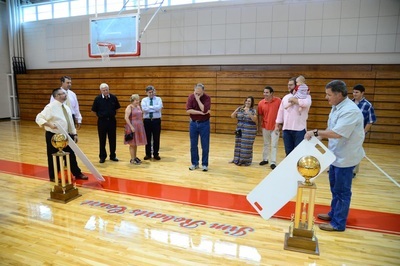 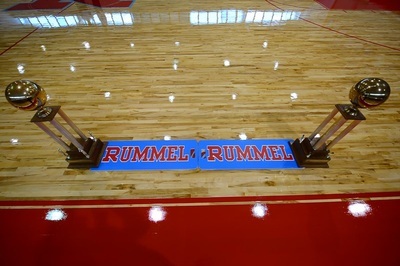 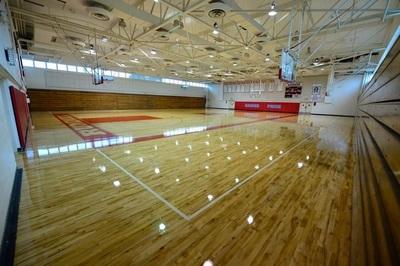 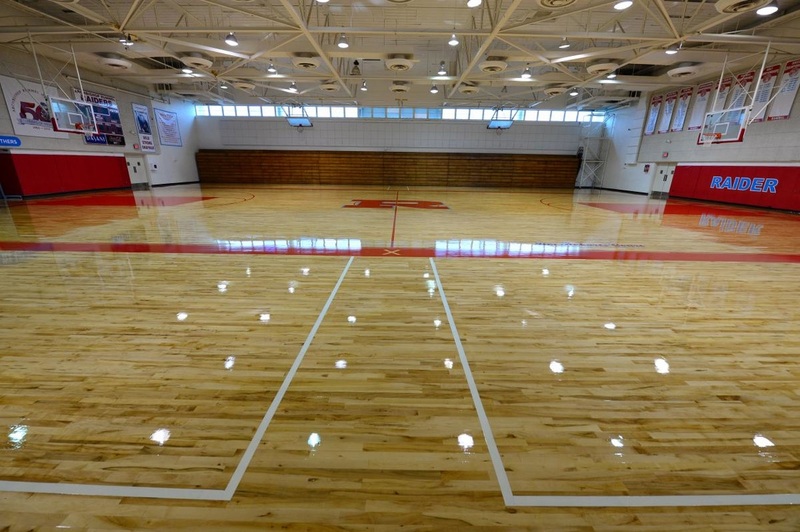 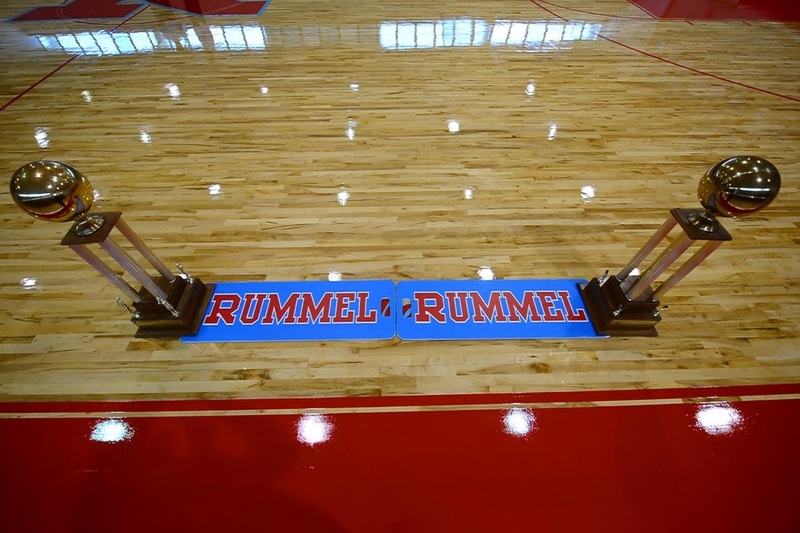 In an intimate setting with his family and a few Archbishop Rummel staff members, Coach Robarts viewed the freshly painted gym floor on Tuesday afternoon. 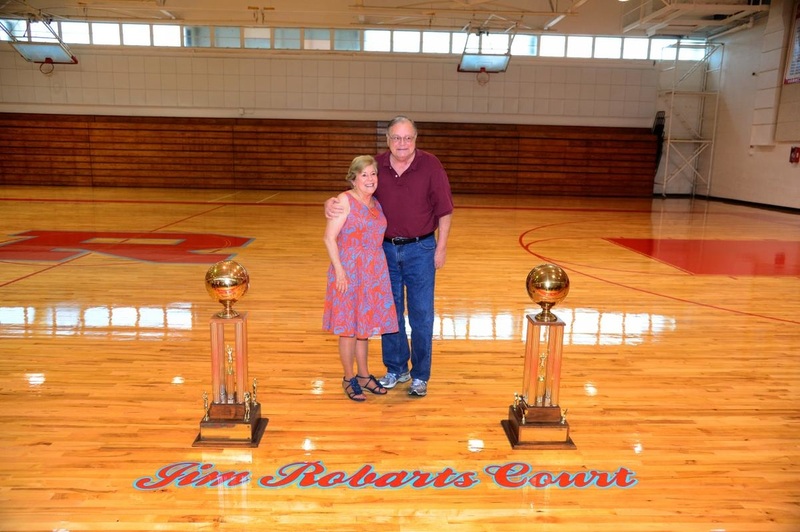 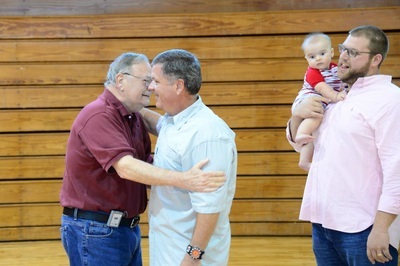 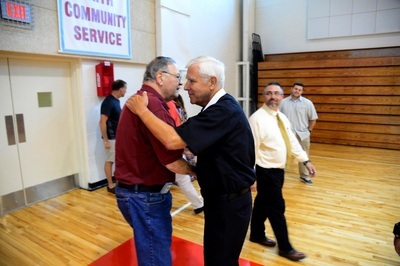 Evidenced by pictures taken by longtime Rummel teacher, photographer and former Raider basketball coach Bill Arthurs, Coach Robarts was completely surprised and even overwhelmed by the gesture. His wife, Mary Ann Robarts, and his son, Mel (ARHS Class of ’83), were able to keep the news a secret until he walked into the gym. 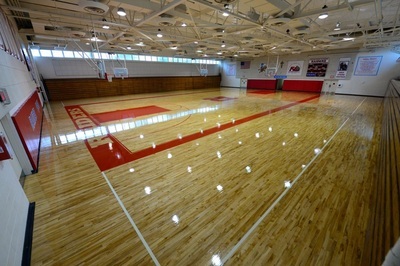 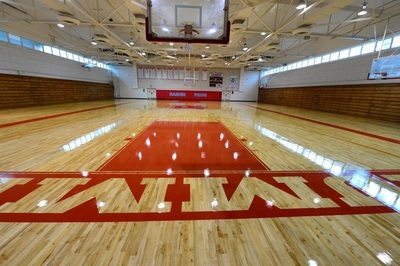 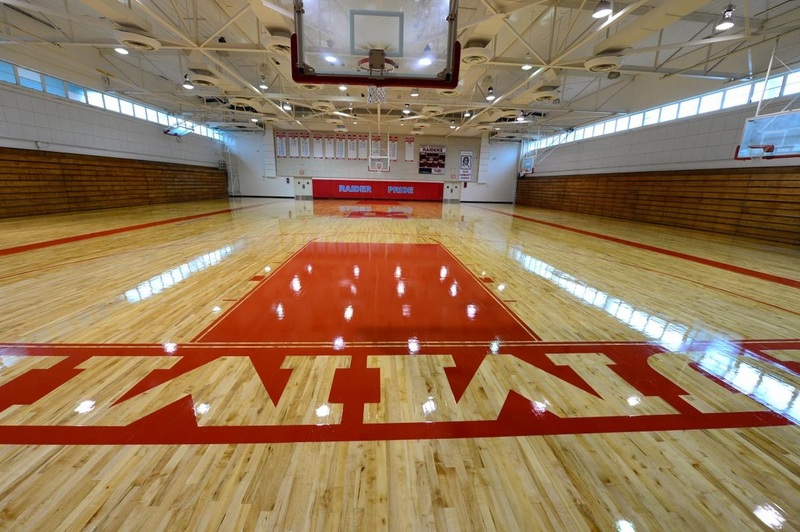 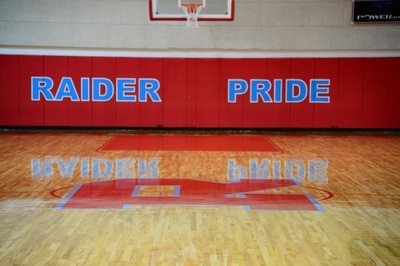 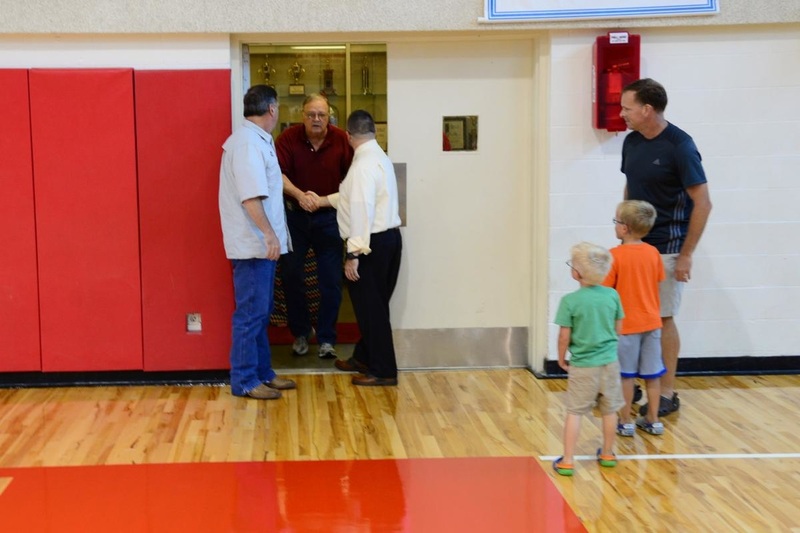 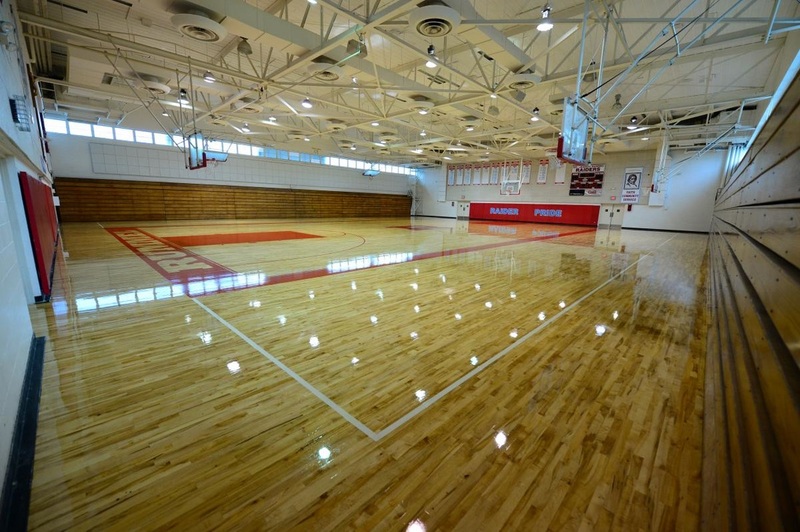 Initiated by a number of his former players, the naming of the Raider basketball court is part of a master plan to refurbish the gym and its main entrance lobby. 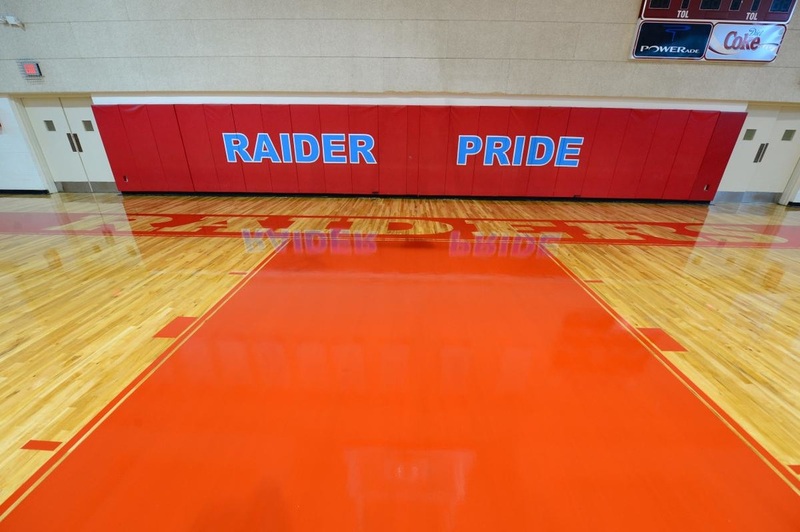 The official acknowledgment of the court-naming will be at the Hall of Fame induction ceremony in the Raider Room on Thursday, October 1st. All will be invited to attend and honor the Raiders’ legendary coach, whose teams won back to back state championships in 1977 and 1978. 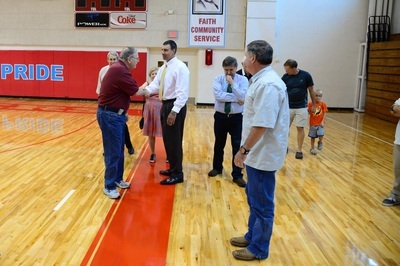 More information about the ceremony and reception will be forthcoming.